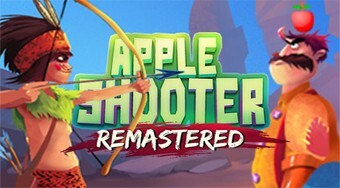 Do you like Apple Shooter Remastered? Share it with your friends. Shoot arrows from the bow and try to reach the apple on the head of a brave guy from different distances.